A well presented and fully furnished four double bedroom holiday villa situated on the Atlantic Reach site. The property consists of an open plan kitchen/diner/lounge area, bedroom and shower room to ground floor with master en-suite and two further bedrooms and family bathroom to the first floor. The property is currently being let privately and would make an ideal investment or holiday home. Chain free. This property has been beautifully decorated to provide a 'home from home' ambiance, will all furnishings being included in the sale. Upon entering the property you come in to the fantastic open plan living/dining/kitchen area which offers ample living space and dual aspect double glazed windows. There are stairs rising to the first floor landing and a TV point. The kitchen offers a lovely modern suite to include a roll edge work surface with a range of base and wall units and inset stainless steel sink and draining board. There is an integral oven with 4 ring hob and extractor hood over and space for a fridge freezer and washing machine. 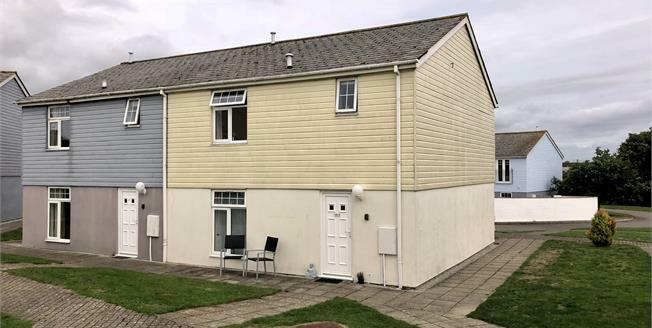 Also on the ground floor there is a double bedroom which offers a built in wardrobe, double glazed window and radiator, and a family shower room. The shower room benefits from a fully equipped modern suite, an extractor fan and radiator. On the first floor the landing gives access to all bedrooms and family bathroom, as well as an airing cupboard. The master bedroom offers a fantastic en suite shower room and a double glazed window. The remaining 2 first floor bedrooms are both doubles and both benefit from double glazed windows and built in wardrobes. The family bathroom is considered to be a generous size, and offers a full suite which includes a Jacuzzi spa bath, shower, sink and WC. There is a double glazed window to the front elevation. The property stands just a minute's walk from the wealth of facilities (some seasonal and additional charges may apply for some services) which can be enjoyed by the owners of the villa. These include a leisure centre with heated indoor pool, sauna, solarium, fitness centre and a café/bar. The former Manor house is home to a bar/restaurant and sun lounge. The development includes tennis courts, a children's playground and an outdoor swimming pool. The property is on a 999 year lease and is a holiday restricted property.